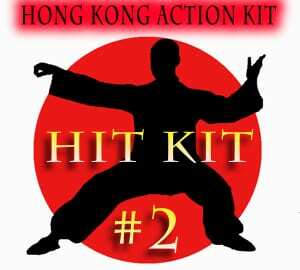 This is the second in a series of packs of sounds (kits) that are great for those classic Kung Fu epics or other big action films you are working on. This is not just 480 sounds that you can play with and try to get “the right hit sound”. What is in “Hit Kit #2” are 56 groups of sounds that are preset to work together. The naming separates the groups into two sequences. The hard part about laying in hundreds of hits in a classic Honk Kong Action sequence is not syncing the hundreds of hits but keeping all those hits from sounding boring. The key is rhythm, musicality, and variety. These sequences are groups of “hits” that were designed to use sequentially. Your scene is going to be different so the exact sequence of hits will probably need to be played with a bit but used in order or close will give you variety and keep your “Tun O’ Hits” from sounding like you used the same one over and over. How do I know? Well these groups in this order were used in an actual wide release Hong Kong Action Film. There is also a folder of “Extras”. These are a few files like spinning whooshes, for when your actor jumps spinning through the air, that were not part of the sequences but I thought would be useful. Part of how you keep hits interesting is you layer them up and adjust the parts. Almost all of the groups in this kit are “layered up”. Groups contain up to four hits (the majority are two and three), plus one to four whooshes (mostly one), and some extra sounds as sweeteners. In addition as mentioned most of the groups have more than one hit or whoosh in them. Whenever more than one sound happens on the same track there is some dead air between the sounds so you can cut them apart and use them separately if you want. The classic layer is a high, medium, and a low hit plus a whoosh. All of the groups have been rendered out so each sound is the same length for easy assembly. You can easily change the character and “hardness” of hits by adjusting the levels and placement of the parts of the group. Moving the whoosh closer to the hit makes it faster/harder, moving it earlier tends to make it a big wind up hit. By changing the balance of the High/Med./Low hits you can change the hardness and “weight” of the hit. The groups are very flexible and can create thousands of variations. And of course you can use any sound on it’s own. A note on sample rates. When these sounds were recorded 96K wasn’t an option. Some parts were recorded to 2” magnetic tape, some to 1/4” magnetic tape, and others to DAT (48/16) or directly into Pro Tools (48/16). For the kit sounds were digitized at 96/24 for processing. That is the reason that the 96K kit is only nominally more expensive than the 48k version. 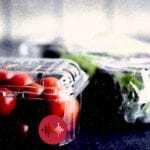 Most collections are charging double to 3X for the higher sample rate files, but those files were recorded at the higher rate so you are getting more “real” data. I’m making the 96 available because you might get some smoother pitching with them but? It’s an option if your a 96K fan. A note on the files. These are working files. They were recorded and then they were altered in postproduction to fit the needs of the show. So you will find some hits are clipped, this was done intentionally. It was/ is a common “trick” to add some “crunch” by intentionally gaining a sound till it clips a bit at the peak. The point is that these are not raw recordings these are the finished working sounds. If you want sounds to do extensive manipulations to you are probably better off getting a collection of high sample rate raw sounds. These groups are really designed to be a fast relatively painless way to lay in a bunch of hits in an action sequence. If you just drop them in you will get a pretty classic Hong Kong Action sound (well actually it will be the more interesting Hollywood rerelease sound). If your fight is less stylized then tone down or remove the whoosh (though mixed really low it does add impact and interest), and lower or lose some of the hit layers. Soundminer Metadata is embedded, though since these are designed to be used as groups individual sounds have basic not detailed descriptions. Hit #1 will as a rule be the higher or harder sound and hit #3 will be the lowest. Hit #4 is usually a support hit for one of the first three so it varies. When there are multiple whooshes they are usually serving different purposes. Such as a longer one for the swing and a short one to add more impact. Sweetener sounds and extras are things like a hit with a metallic component or some hit related but not directly part of the hit sound. Because most of these files are groups of hits and the names are based on track names you may find that occasionally there will be a hit amongst the whooshes in a Whoosh track. Where this happens I have noted it in the metadata. We tried to keep it very organized but this film was done when track count to the stage was limited and in dense sequences you had to grab space where you could. The next “Hit Kit” will probably be more weapons and support sounds, like whooshes, body falls etc.